In this massive article I have summarized several scientific discoveries on the benefits of meditation. Over 100 studies were analyzed (some of which are in themselves analysis of other hundreds of studies), and categorised the findings into 76 benefits (divided into 46 subheadings). You will be surprised in reading some of these. At the bottom of this post you will find a button to download a FREE PDF copy. You will noticed that on many blogs and forums when people answer the question “why should I meditate” or “what are the benefits of meditation”, they do mention a few health benefits, and spiritual benefits, but leave a lot behind; or they often lack scientific evidence backing up what they say (like this one). There are over 3,000 scientific studies on the benefits of meditation, but I have not found any blog that compiles hundreds of researches into an organized article, so I decided to fill in the gap. 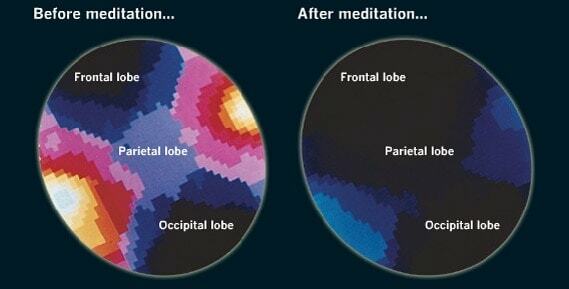 These studies were based on different types of meditation, and I have included details, whenever relevant. Some effects, such as increased compassion and social bonding, are more salient as a result of specific meditation techniques (such as loving-kindness, which is a Buddhist meditation). However, my understanding and personal practice is that any kind of authentic meditation will include most of these benefits, in one degree or another. There is also evidence that the practice will be more beneficial for you if you find a technique that you like better. Check out our post about the different types of meditation. I’m constantly updating this page, so if you find any interesting research not mentioned here, please leave a comment and I`ll include it. As you see in the footer, my goal with this blog is to bring mindfulness and personal growth to one million humans. That is why I wrote this article, and I will be really grateful if you can leave a comment, and share this in your social media channels. Meditation is like multivitamins for your brain. Good to take it every day. Another study, from the University of California, made with patients with past depression, concluded that mindfulness meditation decreases ruminative thinking and dysfunctional beliefs. High-risk pregnant women who participated in a ten-week mindfulness yoga training saw significant reductions in depressive symptoms, according to a University of Michigan Health System pilot feasibility study. The mothers-to-be also showed more intense bonding to their babies in the womb. The findings were published in Complementary Therapies in Clinical Practice. This is also the conclusion of over 20 randomized controlled studies taken from PubMed, PsycInfo, and the Cochrane Databases, involving the techniques of Meditation, Meditative Prayer, Yoga, Relaxation Response. 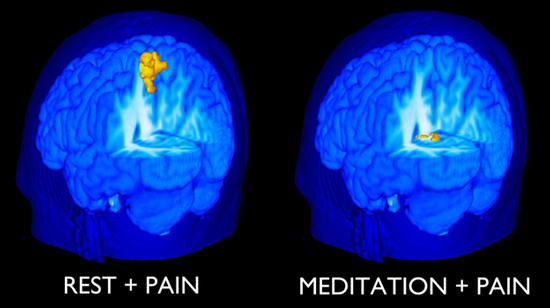 Meditation was found to be as effective to treat anxiety and depression as antidepressant drug therapy! A study by researchers from the University of Sussex in the UK found out that people that practice mindfulness meditation experience a greater pause between unconscious impulses and action, and are also less subject to hypnosis. If you don’t like medication, try meditation. An ounce of prevention is worth a pound of cure. More people die of heart diseases in the world than any other illness. In a study published in late 2012, a group of over 200 high-risk individuals was asked to either take a health education class promoting better diet and exercise or take a class on Transcendental Meditation. During the next 5 years researchers accompanying the participants found that those who took the meditation class had a 48% reduction in their overall risk of heart attack, stroke and death. A study from Harvard Medical School demonstrates that, after practicing yoga and meditation, the individuals had improved mitochondrial energy production, consumption and resiliency. This improvement develops a higher immunity in the system and resilience to stress. This is the conclusion of over 20 randomized control studies taken from PubMed, PsycInfo, and the Cochrane Databases, involving the techniques of Meditation, Meditative Prayer, Yoga, Relaxation Response. Results from recent research, published online in the journal Brain, Behavior and Immunity, states that just 30 minutes of meditation a day not only reduces the sense of loneliness, but also reduces the risk of heart disease, depression, Alzheimer’s and premature death. Psychological stress is a potent trigger of inflammation. A brief mindfulness meditation-based stress reduction intervention delivered by audiotape during ultraviolet light therapy was found to increase the resolution of psoriatic lesions in patients with psoriasis. Thanks to the reader Maricarmen for pointing out this fact. Meditation, though a solitary exercise, improves your personal and social relationships. Another study points out that the development of positive emotions through compassion builds up several personal resources, including “a loving attitude towards oneself and others, and includes self-acceptance, social support received, and positive relations with others”, as well as “feeling of competence about one’s life” and includes “pathways thinking, environmental mastery, purpose in life, and ego-resilience”. Mindfulness is the hottest thing in education since the advent of the blackboard. And it’s not just about mindfulness. Check out my article on meditation techniques for kids. 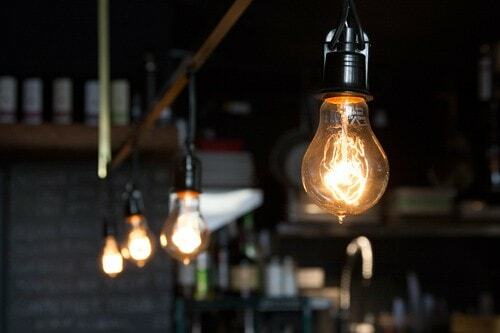 In a nutshell, science confirms the experience of millions of practitioners: meditation will keep you healthy, help prevent multiple diseases, make you happier, and improve your performance in basically any task, physical or mental. However, in order to experience most of these benefits you need to practice meditation consistently (daily). If you need help creating the habit, checkout this post, and also my beginner’s meditation course, Master Your Mind. My mission is to take a million people to calm, centered and focused. If you like this cause, please take a deep breath and share this post with the world. This article has been translated, by readers, into Italian, Chinese and Korean.